First. I commend the full text of the report to you – it is thoughtful and enlightening. You can follow the links from the story to get it. Interestingly, about 1/3 of the firms reported that their CI teams’ ability to “connect the dots” was something in which they excelled. Hum. And how about this: almost 2/3rds of the firms said that the CI teams’ work was more tactical than strategic. See anything now? I would like to add to this some observations. My qualifications? My background, in addition to decades in CI includes working in 3 law firms and in 2 corporate legal departments. (highest positions being Resident Counsel in the former and VP/General Counsel and in the latter). In fact, I have even written a couple of articles on CI for law firms, before it was a popular subject for discussion. One unidentified source of a drag on some CI programs is the client himself, herself, themselves: the lawyers in the law firm themselves. Some partners tend to possessiveness of information on “their” clients, because information is seen by them as power or at least a route to success. Most associates at law firms are not heavily (or even at all) involved in business development, so CI is almost irrelevant to them. That also means that associates becoming partners will not usually understand anything about their firm’s CI process and what to expect from it. Withholding some client information or access from other lawyers in the same firm is frequent, particularly when there is partner hunting/poaching by that firm and/or competing firms going on. Lawyers live in world of confidentiality – they tend instinctively to give little information out (which impedes developing proper KITs and KIQs by the CI team), and, in turn, they often expect to receive little. Then, these diminished expectations mean they have less interest in becoming involved with CI. Lawyers usually believe that only lawyers, or at best paralegals, can understand the law, and therefore the legal business – despite the apparent high correlation between success and the use of experienced CI people by large law firms noted above. Legal research is different, very different, from CI research. Put another way, elicitation is not likely to be seen as a way to gather competitively sensitive data by those familiar only with using depositions to gather information. Also, the bulk of legal research is now done using commercial online services (LexisNexis, Bloomberg Law Westlaw), so some lawyers may have a perception that secondary research is the only way to go rather than being, well, secondary. “The fault, dear Brutus, is not in our stars / But in ourselves, that we are underlings.” (Julius Caesar, Act I, Scene III, L. 140-141). Lizzy McLellan, “Report Finds Law Firms Playing Catch-Up on Competitive Intelligence”, The Legal Intelligencer, October 3, 2017. 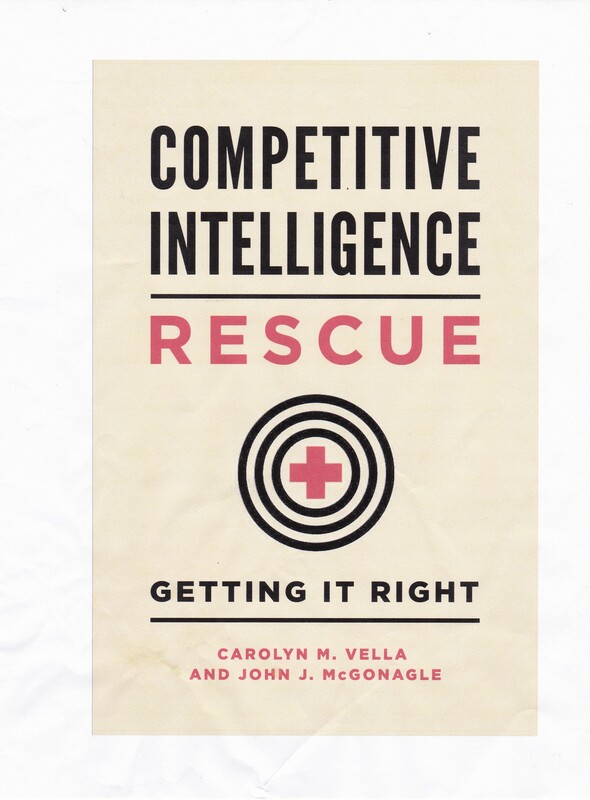 “Knowing Your Competition: Can Competitive Intelligence make your firm extraordinary?”, Legal Management, Nov.-Dec. 2011, 35-39; “Competitive Intelligence: A New Tool For Lawyers”, Legal Times, May 19, 1986.